Understanding electrical safety is of vital importance for landlords and letting agents. It helps to ensure you are compliant with the law, while keeping your tenants safe. After all, what could be more important! To help you understand all the rules, we have drawn up this guidance in partnership with the National Association of Professional Inspectors and Testers (NAPIT). We are really grateful for their assistance and we hope you will find this useful. Best practice inspection and testing guidance recommended by industry experts. Electrical safety – so what is the problem? In England alone electric shocks account for around 3,500 A&E admissions in 2016/17 while in Great Britain electrical distribution systems account for around 12% of accidental domestic fires. Faulty, incorrectly installed and poorly maintained electrical installations and wiring account for many of these incidents, resulting in significant property damage, injury and even fatalities. All electrical systems are prone to damage and deterioration over time and any alterations and additions made may also introduce subtle faults that can go unnoticed for years, such as loose connections that can heat up to temperatures high enough to cause a fire. 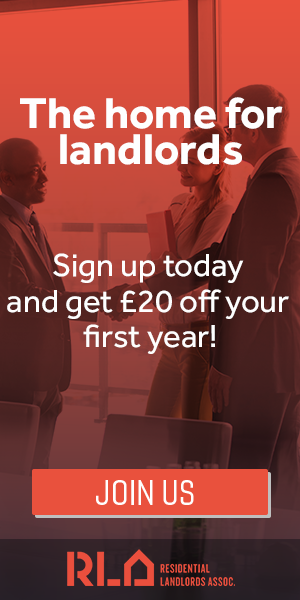 It is therefore vital for landlords and letting agents to understand their legal responsibilities and ensure that appropriate inspection regimes are implemented in all privately rented homes. There are several pieces of legislation covering electrical safety and further measures are proposed in the Housing and Planning Act 2016. Further legislation is expected to pass through Parliament in the next few years, after the Government announced in July 2018 that it would bring in a mandatory requirement for landlords in the private rented sector to ensure electrical installations in their property are inspected every five years. In this section, we have summarised the key powers currently in force in England. It does not impose an explicit obligation for regular safety checks. However, should an accident occur, you may be required to show that due care and attention was paid. Maintaining an appropriate inspection regime is the best way to demonstrate this. The housing, health and safety rating system (HHSRS) includes an enforcement regime for tackling 29 hazards in residential accommodation, one of which is electrical hazards. If the local council find a serious electrical hazard, they can serve a Hazard Awareness Notice, Improvement Notice, Prohibition Order or take Emergency Remedial Action. The landlord can also be charged a fee of several hundred pounds when a legal notice is served. These regulations require the landlord or agent to provide the "How to Rent: The checklist for renting in England” guide to tenants, which tells them that their landlord should provide them with a record of any electrical inspections and recommends checks every five years or on each change of tenancy. It is not currently a legal requirement to provide the tenant with an electrical inspection report, although it is good practice to do so and it helps to show that the electrical installation is safe. A House in Multiple Occupation (HMO) is a property rented out by three or more people who are not all related, but share facilities such as the bathroom and/or kitchen. The Building Regulations 2010 set requirements for a wide variety of building work and derive their legal force from the Building Act 1984. The part of these regulations that deals with electrical safety is referred to as Part P and the detail of how to comply with it is set out in Approved Document P.
Approved Document P elaborates on this. In simple terms, what it means for landlords and letting agents in England and Wales is that if a new circuit or fuse box (consumer unit) is installed or an addition or alteration is made to existing circuits in a room containing a bath and/or shower, you should ensure you receive a Building Regulations Compliance Certificate (also known as a Part P Certificate) from the installer responsible for carrying out the work. While there is currently no legal requirement for landlords that let non-HMO properties to have electrical installations inspected on a regular basis in England, adhering to industry best practice recommendations for regular electrical safety checks remains the safest way for landlords to demonstrate compliance with their legal obligations. The Government is in the process of considering new measures which are likely to include a legal requirement for electrical safety checks to be carried out at least once every 5 years. It is therefore important that you are prepared for any such eventuality. Your inspection regime should include regular checks carried out by a competent, registered electrical installer with experience of carrying out inspecting and testing. To ensure a thorough review of the whole electrical system, the electrical installer should undertake an Electrical Installation Condition Report (EICR), giving the landlord a copy for their records on completion. As the name suggests, this report will provide a comprehensive assessment of the condition of the household electrics, detailing any urgent or recommended improvements to ensure the overall safety of the system. This should be done every 5 years or within the time frame recommended on the EICR (usually determined by the age and condition of the installation). NAPIT released a new document in early 2017 called an Electrical Installation Safety Record Summary (EISRS). The EISRS acts as a simple one-page document which provides clear and concise information regarding the outcome of an EICR and defines what further actions need to be taken. Customers are also able to use it to demonstrate that they have carried out any rectification works highlighted by the EICR on their property. The document is available to all NAPIT members, and it is hoped that it will promote a greater number of electrical inspections and make the process easier for customers and inspectors. In addition, you can also make simple visual checks to demonstrate that you have done all you can to meet your duty of care to your tenants. These should be carried out annually so as to pick up any hazards that may develop between the professional inspections you schedule. Visual checks should also be carried out between tenancies although a more thorough EICR may be more appropriate. It is vital for landlords and letting agents to understand their legal responsibilities around electrical installations and ensure that appropriate inspection regimes are implemented in all privately rented premises. 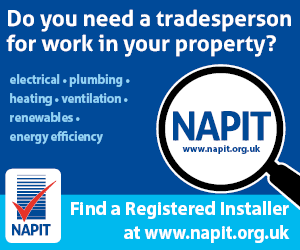 This information has been provided by NAPIT (the National Association of Professional Inspectors and Testers), in partnership with London Property Licensing. Last updated in October 2018. Link to a helpful Home Safety Certificate, Visual Electrical Checklist and supporting guidance that provides detailed information on completing these safety checks. The documents are designed to help ensure that all legally required and industry recommended checks are carried out to best ensure tenant safety and assist landlords and letting agents. Link to the Electrical Safety Roundtable (ESR) website for more information on electrical safety in the home.